In 2017, TMPA received permission from David Kimberly and the Klein ISD/PD team to adapt Leadership Academy (a program developed by Klein) for a statewide project. This amazing group of people continue to share their knowledge and experience, as instructors for the Leadership Academy: Texas Facilitator Trainings. We would like to express our appreciation and gratitude to them for not only their continued support, but also for their help creating and updating materials; without them this program would not be possible. Program Pilot Facilitator & Retired Counselor from Blackshear Elementary, Klein I.S.D. Program Pilot Facilitator & Counselor at Mahaffey Elementary, Klein I.S.D. Facilitator & Instructional Officer for Counseling and Whole Student Wellness, Klein I.S.D. In 2015, David Kimberly, Elizabeth Gilleland with their team from Klein ISD and Klein ISD PD created and launched Leadership Academy at 12 Klein ISD campuses. Using the content from the Handbook for Success, they added a series of reflective questions, and expanded the materials to reach students through restorative practices. They continue to do amazing work in their community and beyond. As of 2018, 1700 students have gone through Klein's Leadership Academy program; which is at 35 of their elementary and middle school campuses. They have seen amazing results in the lives of countless students since the program began. Klein ISD PD has generously shared their work with many other districts, and in 2017 Klein ISD PD gave this grant program permission to replicate their work statewide. 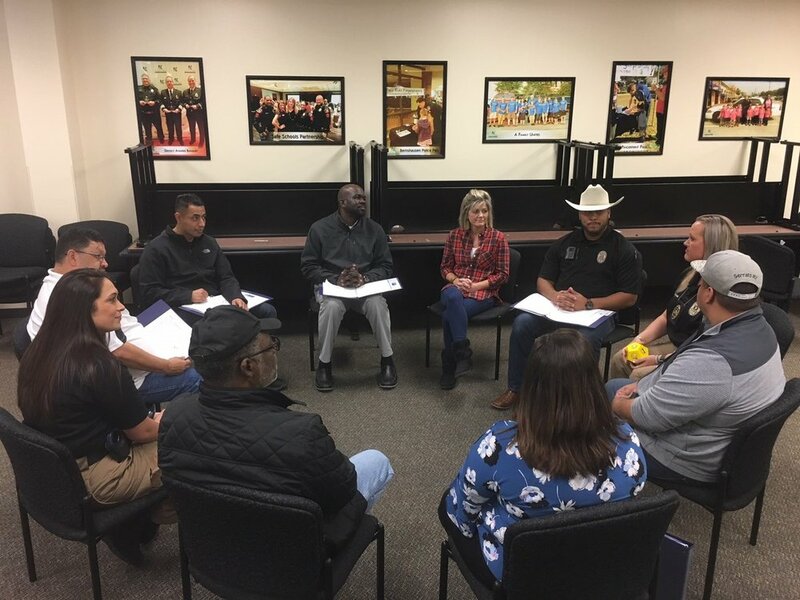 We are thankful for their partnership, and to have them share their knowledge and experience with attendees at Leadership Academy: Texas Facilitator Trainings.